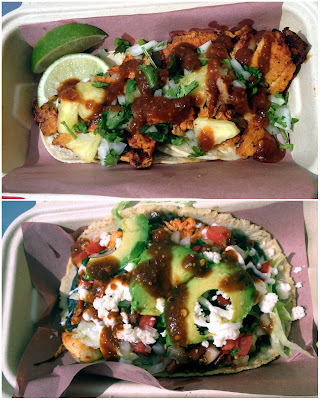 It was just a couple days ago that I learned about a Mexican food truck that had recently opened up in the parking lot of the Canadian Tire in Sherwood Park. Given my love of tacos, it's not surprising I wasted no time before heading out for a visit. Named for co-owner Carlos' childhood home in Mexico, the brightly coloured Casa Doce food truck is hard to miss. Several lawn chairs are available for patrons who wish to hang out and eat. The menu offers tacos, huaraches, and tortas with a choice of meats, including pork al pastor, ribeye steak, pollo adobada, and chorizo. Dishes are priced just below $10, in general. The tacos arrived as a mound of mildly spicy chicken topping several corn tortillas. It was a bit tricky to assemble, but the delicious end result was certainly worth the mess. I was particularly pleased to learn that homemade pickled carrots and jalapenos are available. If you've never had them before, try them. A huarache is a Mexican dish consisting of a fried corn dough base with any number of toppings. Casa Doce's is topped with beans, lettuce, tomatoes, pineapple, avocado, onion, your choice of meat, and finished with queso fresco. 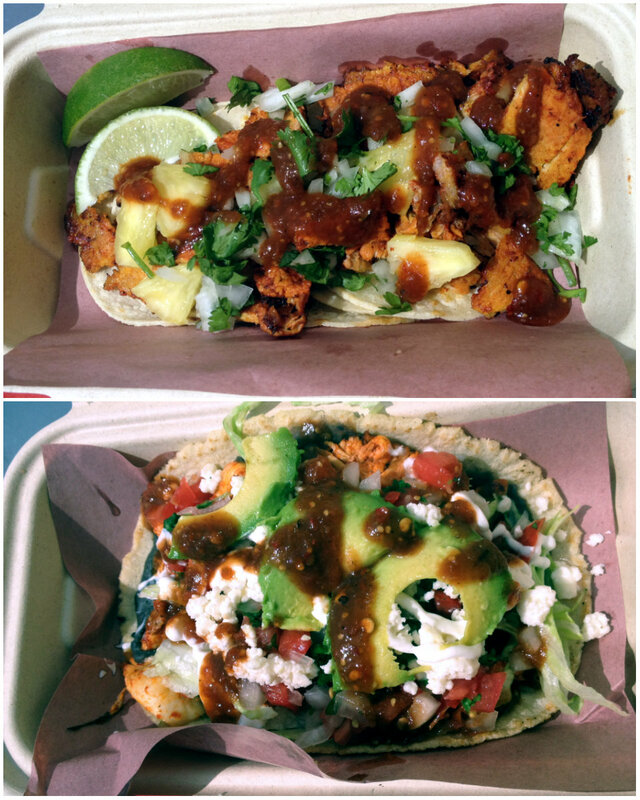 Similar to the tacos, the pollo huarache was a messy, but incredibly flavourful experience. Owners Carlos and Janette hail from different backgrounds, but their combined experiences make them the ideal team for their food truck endeavour. Jeanette has spent her entire life in Sherwood Park, and is the former general manager of Franklin's Inn. Carlos is originally from Mexico City, but trained at the Cordon Bleu Culinary Arts Institute of Ottawa, and has worked in Seattle, California, Italy, and more recently (and locally), at the Sawmill Restaurant. A passion for tacos drove him to open Casa Doce, and both his skill and his spirit are evident in the food. 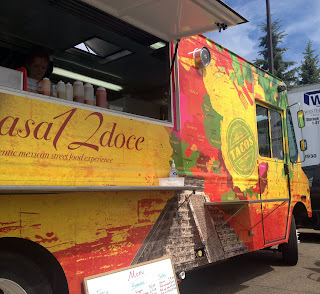 Based on the flow of people during my visit, it's clear residents of Sherwood Park are embracing their new taco truck, and I'm certainly a bit envious Casa Doce is not in my backyard. I guess I'll be heading out to Sherwood Park a few times this summer.